Dyletsky, Mykola (Diletsky) [Дилецький, Микола; Dylec’kyj], b 1650? in Kyiv, d 1723? Music theoretician, composer, pedagogue. Dyletsky studied in Vilnius (1675) and worked for some time in Smolensk (1677), Kyiv, Moscow (1679), Saint Petersburg, Lviv, and Cracow. He was a master of polyphonic choral music. Among his works are compositions for four voices and eight voices, liturgical music, various motets, and canons. 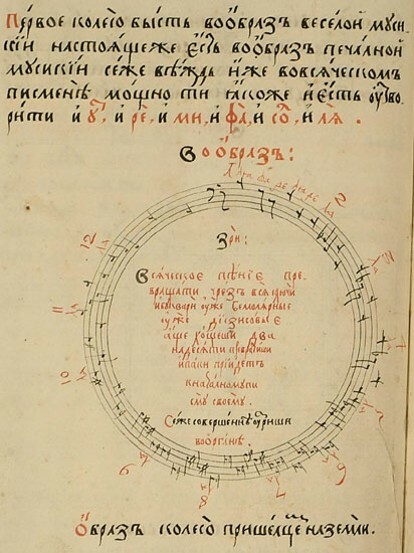 His most important work was Hramatyka muzykal’na (Musical Grammar), a textbook of polyphonic singing, which explains the fundamental theory of music, some principles of counterpoint, and the general rules of composition; it is illustrated by selections from the works of Dyletsky himself, M. Zamarevych, Ziuzka (probable pseudonym of either Lavrentii Zyzanii or Stepan Zyzanii), I. Koliada, M. Mylchevsky, Ye. Zakonnyk, and others. His theoretical views are augmented by comments on esthetics and on the educational value of music. The original text of the work, written in Vilnius in 1675, is not extant, but it exists in several variants and new redactions: 20 manuscript transcriptions are known, mainly of the six-part Polish version, written in Smolensk in 1677, and the seven-part Ideia grammatiki musikiiskoi ... (The Idea of a Musical Grammar ..., Moscow 1679). The variants occurred because Dyletsky adapted his text to suit the needs he encountered in his work as a pedagogue. The first printed edition appeared in Saint Petersburg in 1910 under the title Musikiiskaia grammatika and was based on the 1679 Smolensk redaction. The latest known autograph was written in Ukrainian in 1723 and was discovered in Lviv. It was published in Kyiv in 1970.